The State Oil Company of the Azerbaijan Republic (SOCAR), the largest foreign direct investor in Turkey, has acquired EWE Turkey Holding, which has been running the Turkey operations of the German energy company EWE AG and its affiliates. According to a statement by SOCAR, the company aims to be one of the largest production forces in Turkey. The statement said that SOCAR has been transmitting natural gas in Turkey in partnership with the Trans Anatolian Natural Gas Pipeline (TANAP), adding, "We have acquired EWE Turkey Holding, which has been running the Turkey operations of the German energy company EWE AG, and its subsidiaries − Bursagaz, Kayserigaz, Enervis, EWE Enerji and Milenicom. After the acquisition of EWE Turkey, we will also operate in natural gas distribution. The acquisition will be finalized after the approval of the Competition Authority, the Energy Market Regulatory Authority and the Information and Communication Technologies Authority." SOCAR CEO Rovnag Abdullayev said that natural gas distribution would be one of the key rings that would complete their investment chain in Turkey. 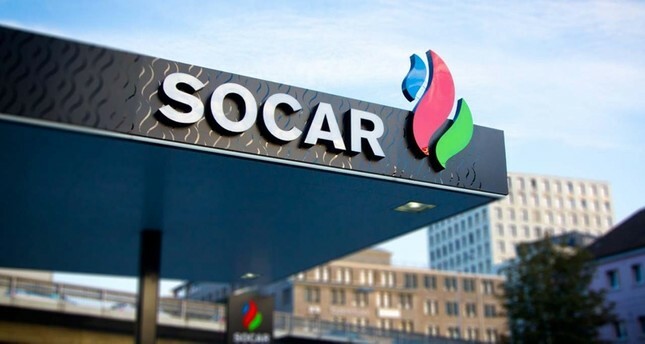 He added that SOCAR, Azerbaijan's global brand, has been carrying out wholesale of 1.2 billion cubic meters of natural gas per year to the Turkish market since 2013. "With our TANAP project, which came into operation last year, we also ensure the transmission of natural gas from Azerbaijan. With the acquisition of EWE Turkey, we will have completed all the rings of the natural gas production, transmission and distribution chain in Turkey and have taken a very important strategic step in terms of trade," Abdullayev said, noting that the synergy to be created by this step will bring added value to the economy of Turkey and Azerbaijan. The SOCAR CEO further added that they would continue to take other opportunities in the market in the future. EWE Turkey Holding, which started its activities in the Turkish market in 2007, operates in the fields of energy and telecommunications. The holding, the fourth largest natural gas supplier in Turkey, reached approximately TL 2.4 billion in consolidated revenue by the end of 2017. The Azerbaijani giant began investing in Turkey after it acquired the country's leading petrochemical company Petkim in 2008 for $2 billion. SOCAR has so far invested around $19 billion in Turkey. Meanwhile, Turkey and Azerbaijan witnessed on Oct. 19 last year the inauguration of the largest single-location real sector investment in Turkey, the SOCAR Turkey Aegean Refinery (STAR), in İzmir's Aliağa district. Its grand opening ceremony was held with President Recep Tayyip Erdoğan and his Azerbaijani counterpart Ilham Aliyev in attendance. The $6.3-billion-refinery will be one of the biggest petroleum and gas operations in Europe, the Middle East and Africa.